Over the past week, as the county and the nation anticipated the outcome of one of the most hotly contested presidential elections in recent history, Editor Norman K. Styer and the staff of Loudoun Now looked back a year—to the general election held on Tuesday, Nov. 3, 2015. That election resonates with everyone then employed at Leesburg Today, the independent newspaper founded on Nov. 8, 1988, by veteran newsman Brett Phillips. On election day a year ago, the newspaper, then owned by HPR-Hemlock LLC, was sold to the Loudoun Times-Mirror and the staff was informed that night’s newspaper would be the last. The staff learned that news in the morning and then worked through the night to report on the local and state elections. It wasn’t until the paper was put to bed that thoughts turned to their job prospects. 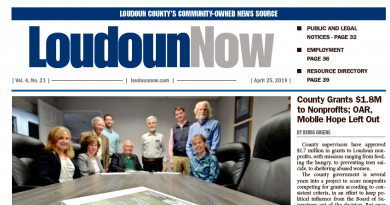 Then a decision was made to publish the first issue of Loudoun Now the following week—only five days later. Two people got up from the table to get to work. Advertising Director Susan Styer began making calls to businesses to run in the first issue, even though she couldn’t say for sure how many copies would be printed or where they would be mailed. Matt Danielson, of Electronic Ink, a Leesburg-based graphic design and web development studio, went to call printers and schedule the paper’s first run. Later that afternoon, Danielle Nadler, who served as Leesburg Today’s deputy editor, learned of the new venture and signed on. 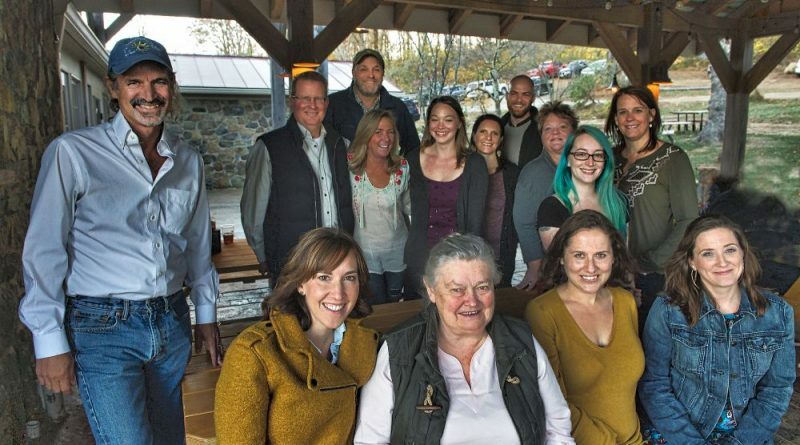 On Sunday night following the sale, a group of reporters, several of whom who had moved onto other jobs after working at Leesburg Today, gathered at Dirt Farm Brewery near Bluemont to decide what stories could be pulled together for the first issue—the paper’s first editorial meeting. The paper went to press on Wednesday and the newspaper’s website launched the following day. Among those around the table for what became an organizational meeting were businessman and former state delegate Joe May and his wife Bobby; journalists Daniel S. Morrow and Glenda Cudaback; and Bradley Gable, vice president and director of mortgage banking for Southern Trust Mortgage. “It’s fantastic that the team that was assembled so quickly has put out a quality product each week for one whole year—and for covering issues that are not always covered in other newspapers,” Gable said. From that first meeting, the newspaper’s ownership group has grown to more than 80 community and business leaders. “As a newspaper it looks good, it reads well and the stories are focused and cover the things that need to be covered—it carries on the best of the Leesburg Today tradition,” Morrow said. “You did the impossible,” Cudaback added about the fast-moving effort. The venture underscores “the ongoing commitment to professional journalism that is, thankfully, alive and well in Loudoun County,” he said. “I think a press that loves its community enough to hold its elected leaders accountable and shine light on the otherwise untold stories makes for a better place in which to live,” she said. Margaret Morton, the newspaper’s senior writer, also joined the new venture after working for more than two decades at Leesburg Today. “The opportunity to continue the work I loved was appealing, driven in no small part by anger at the abrupt demise of a great newspaper, and ensuing hurt to its employees. Three former reporters who had left the Leesburg Today staff years ago to take jobs outside the industry offered their services on a freelance basis. Kara Clark Rodriguez returned to cover her old beat—the Town of Leesburg. “It seemed like Kismet that I had just reached out and agreed to freelance for Leesburg Today a week before its sale and then was honored to be included in the group of journalists and staff to bring Loudoun Now to life. It has been a welcome return to covering my adopted hometown of Leesburg,” she said. Graham, a former Loudoun Times-Mirror photographer who went on to cover national and international news, retired from the Economist Group in Washington, DC, in 2014. He was one of the first to call and offer to help. “It’s a great gift to do journalism that really matters to readers—and I don’t take that lightly,” Graham said. He’s particularly appreciative of community journalism, saying he never saw any solid evidence that the work he did in the national sphere had any impact on readers. “Right now, I know I’ve had an impact working for Loudoun Now and it’s only been 12 months and there is a boatload of evidence,” he said, referencing many appreciative letters and emails. Now executive editor of Parks & Recreation magazine, Samantha Bartram also has pitched on a freelance basis. 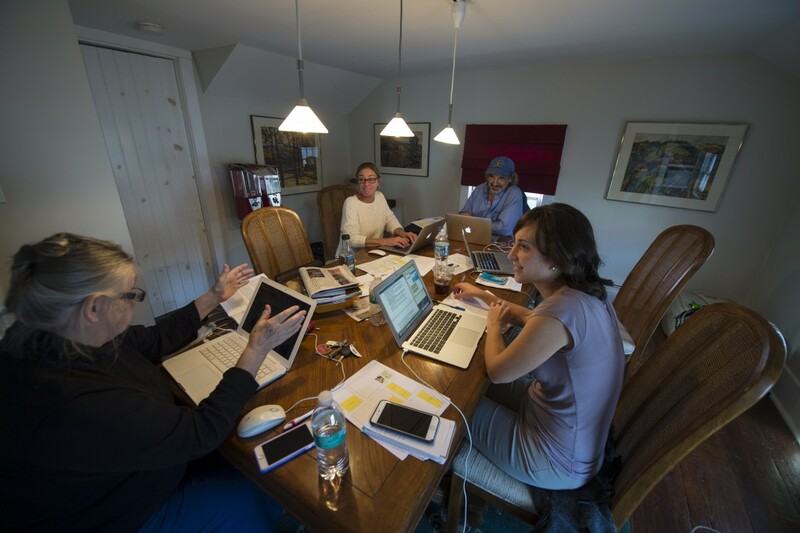 “I cut my journalistic teeth at Leesburg Today alongside people who truly understood the importance of providing comprehensive local news coverage,” she said. Along with Classified Manager Lindsay Morgan, Susan Styer had the task of making sure advertisers would carry their business over to the new paper. Reporter Renss Greene is the staff’s lone import, a native of Virginia’s Middle Peninsula who was working in the Northern Neck at the Rappahannock Record before joining Loudoun Now in its second month of operation. His comprehensive coverage of Loudoun’s government and activities has earned him many fans. “I get a lot of surprised looks when I tell people we’ve started a new newspaper—and that it’s taking off,” he said. Greene says the most exciting thing for him is “working with an amazing team with deep roots in the county and a vision of what a good paper should be, and do.” And part of that is to be “an advocate for the community, through the belief that the better informed the public is, the better off the community will be,” he said. The experience and teamwork has paid off, with continuing compliments from the public and awards. In May, Loudoun Now was named the Best New Business in the Town of Leesburg’s annual Business Awards. In September, Morton was recognized for her dedication to journalism when she was inducted as a 2016 Loudoun Laurels honoree. Also in September, Nadler was named to the Virginia School Boards Association 2016 Media Honor Roll. “It has been an amazing year—truly a partnership between a dedicated staff, valued advertisers and community members who contribute their financial support and expertise to promote community journalism in Loudoun,” Norman Styer said. “Without all three of those elements, our community doesn’t have reporters sitting through school boundary meetings, county supervisors budget sessions and other important events that you’re not likely to see trending in your Twitter feed,” he said. Congratulations for providing a GREAT news source for the citizens of Loudoun! I read your posts every day! Congratulations, excellent job. A classic “Jobs to Be Done” example. Read, “Competing Against Luck: The Story of Innovation and Customer Choice”. You nailed it. Keep up the good work. Congratulations to everyone at Loudoun Now. Your years of dedication to the community remain solidly in place with the new paper! Keep up the hard work! Please keep up the outstanding work. It is much appreciated. A very special paper airplane?